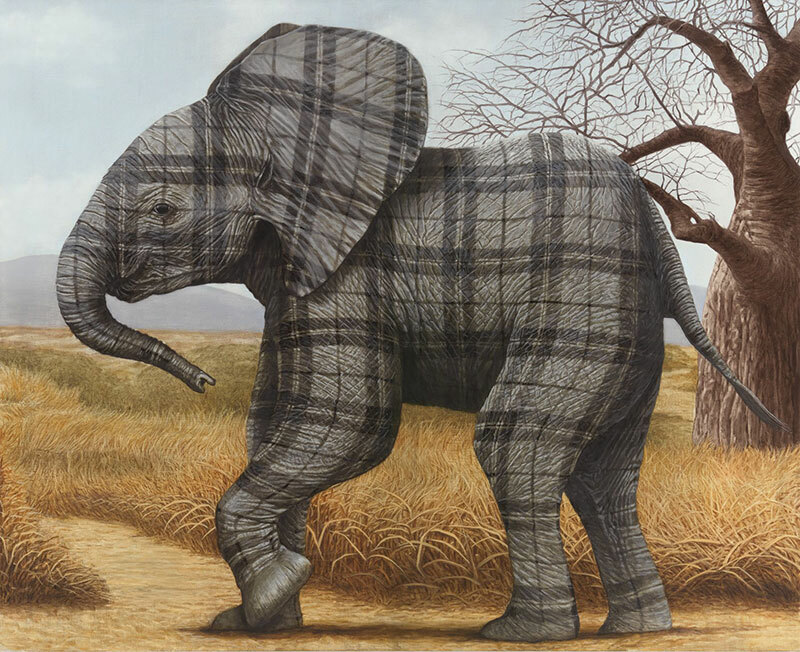 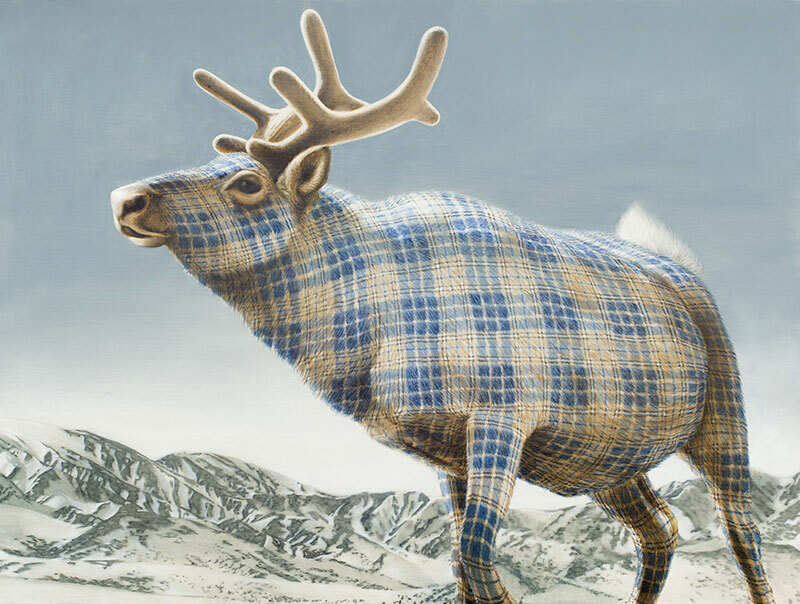 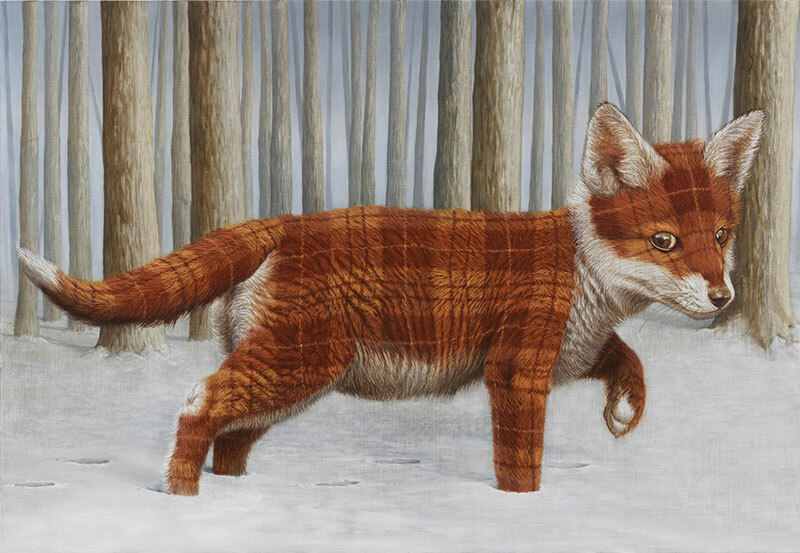 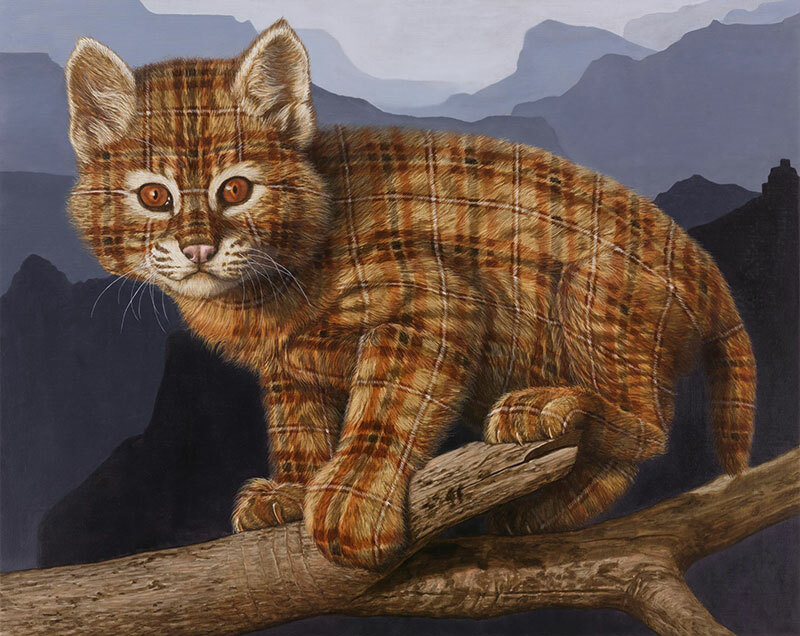 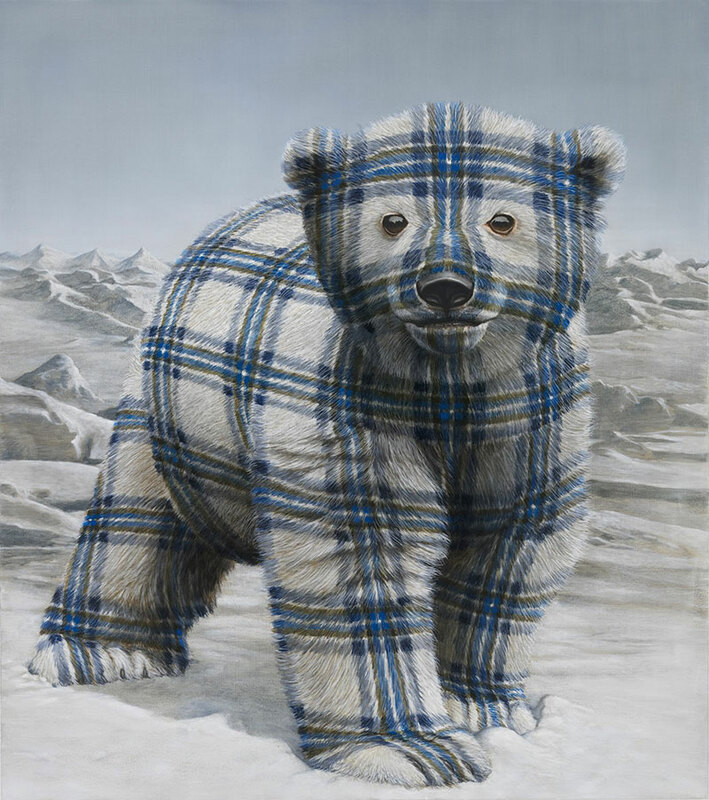 Paintings of animals with Scottish tartan fur by New York-based artist Sean Landers. 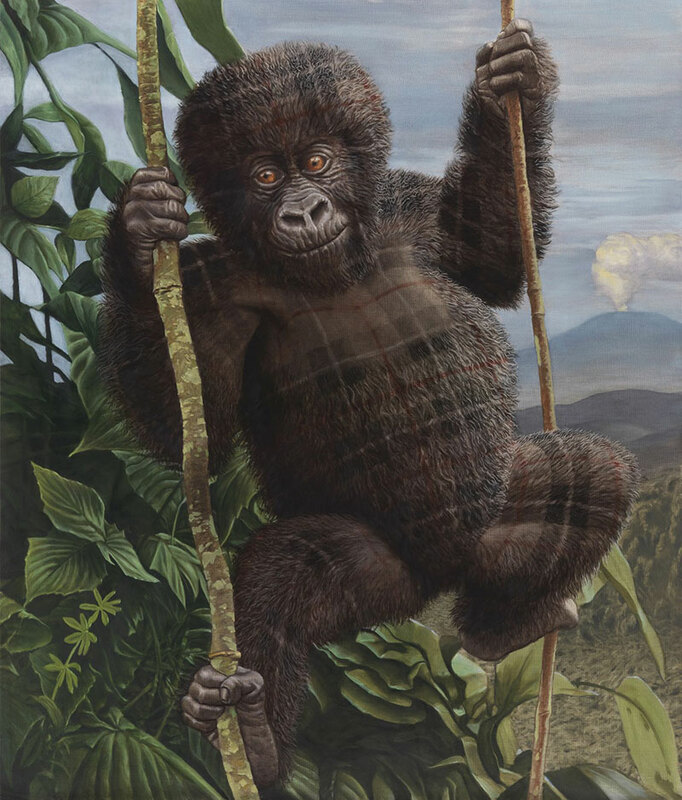 The meticulously painted patterns, initially a system of tribal identification, portrays the animals as cute and charming to endear them to present and future generations. 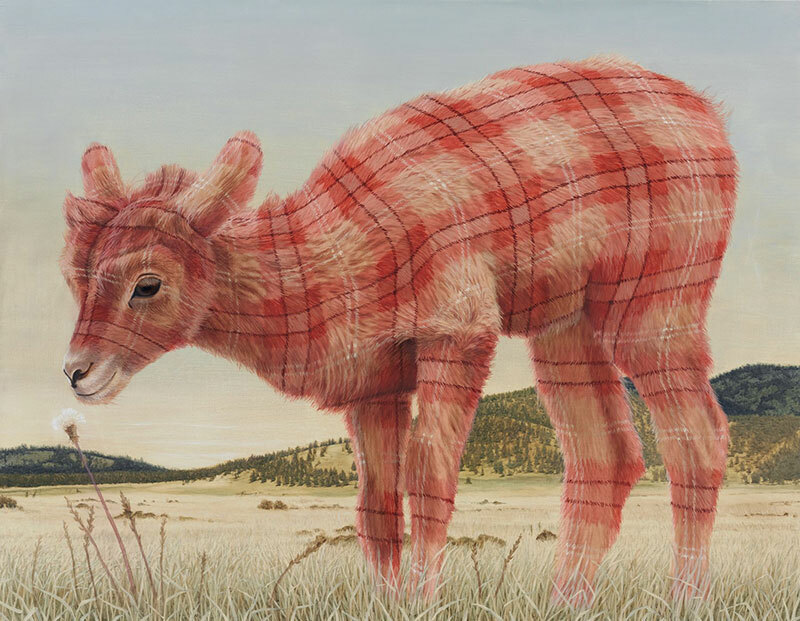 The paintings also embodies his intent to protect them from indifference on their journey through time by rendering them visually anomalistic. 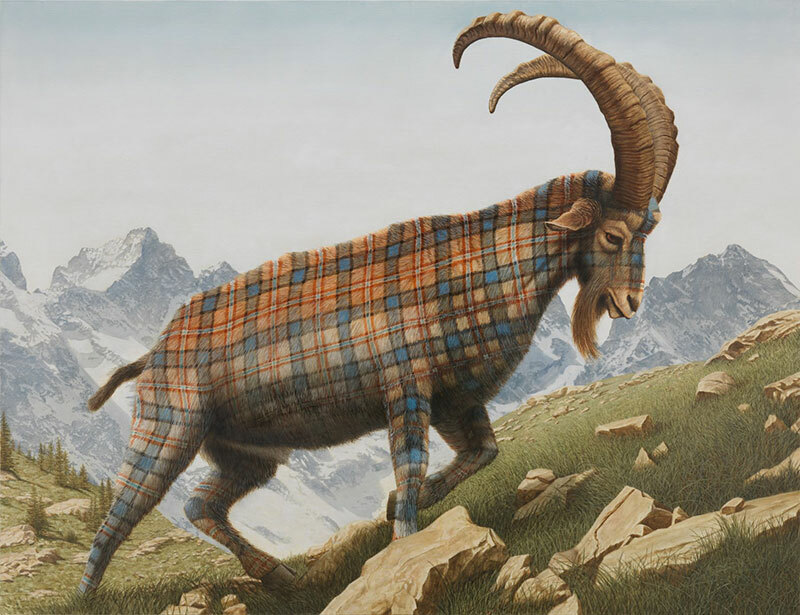 Landers' work was influenced by René Magritte’s Période vache paintings from 1947 to 1948 appropriating his abundant use of tartan as a symbol for the need for freedom in his own artistic practice. 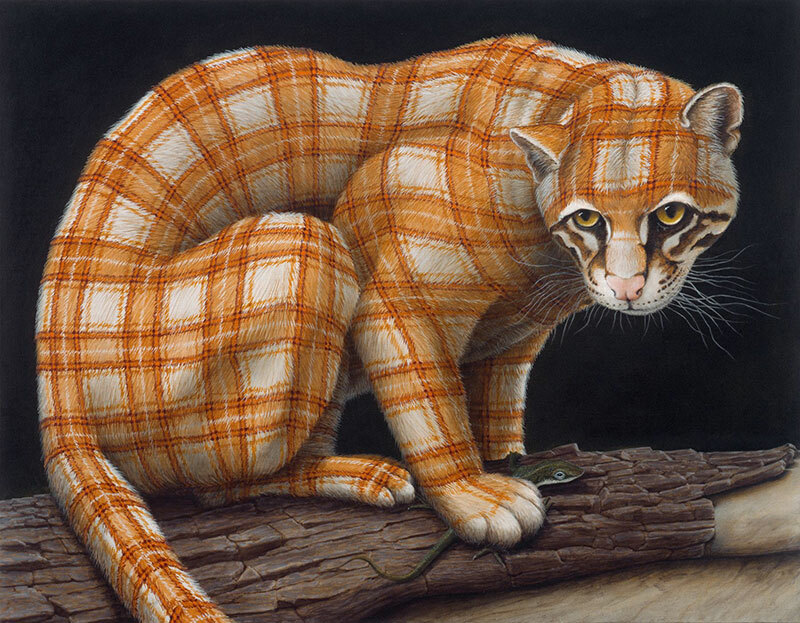 He believes that only through artistic freedom is an artist able to create original work, thus attaining longevity. 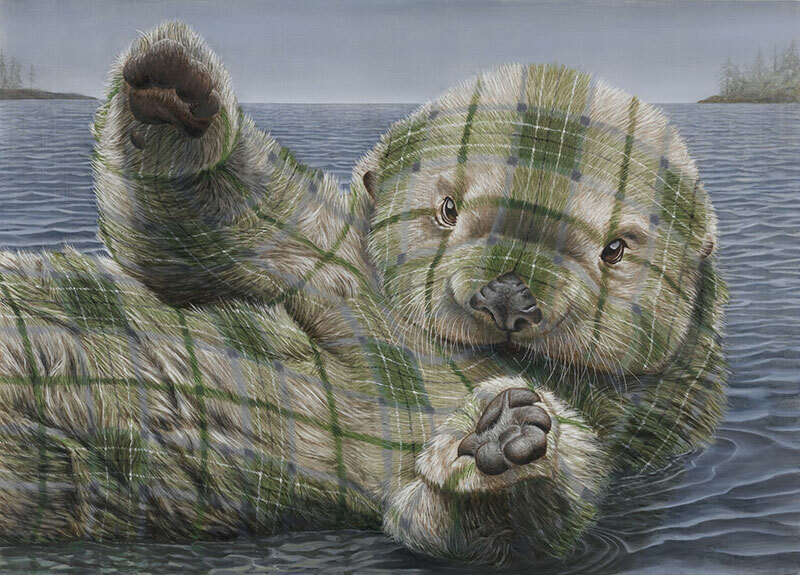 Paintings of animals with Scottish tartan fur by New York-based artist Sean Landers.